The Port Zante Marina where the Emergency Medical Service awaited the arrival of Dunn. 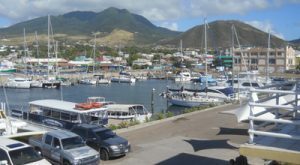 Basseterre, St. Kitts, 13th April, 2018 (MyVueNews.com) – Police are investigating the circumstances of the drowning death of a tourist originating from the United Kingdom. 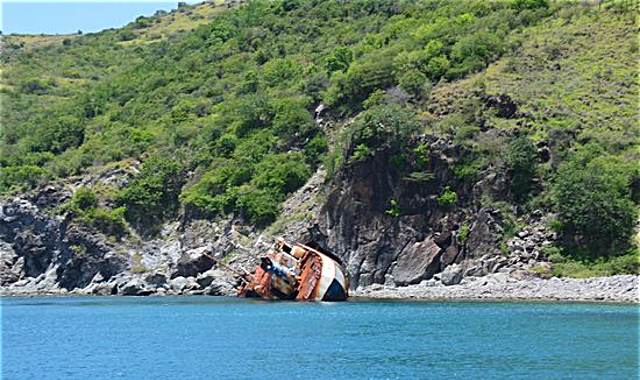 It is understood that 65-year-old Michael Henry Dunn was visiting St. Kitts & Nevis with his wife, on Thursday, 12th April, and had gone on a snorkelling excursion at Shitten Bay during the mid-morning. Eyewitness accounts indicate that shortly after Dunn was in the water, he appeared to be gasping for air. According to Police information, Dunn was removed from the sea and returned to the service boat, which took him to the Port Zante Marina where medical assistance was available. During that time, the dive crew is said to have administered CPR. However, on arrival at the marina docks at Port Zante, the Emergency Medical Service was unable to revive Dunn, who was pronounced dead by the District Medical Doctor. Police said an autopsy will be performed at a later date, but investigations into the incident continue. Top Photo: The secluded Shitten Bay is known for snorkelling.